Silence had a fantastic run at the National Arts Centre. Ticket sales exceeded expectations before the show opened. Audiences and critics responded with tears and applause. Patrick Langston, former theatre critic of the Ottawa Citizen and current reviewer with Artsfile Ottawa said “Silence at NAC is GOLDEN…There’s a stillness, both visual and aural, at the core of this show that’s like a safe room amid the welter of talk and noise and non-stop activity that seems our lot in the early 21st century.” Full review can be found by clicking here. I was involved in several events during my time in Ottawa. I spoke with donors, students and was interviewed for the NAC English Theatre’s podcast series – link can be found here. Lots of new things coming up. Excited about this innovative project The Trophy Hunt, a new play I’ve written that will premiere at a number of Fringe Festivals in 2019. Based on the “rolling world premiere” concept used by the National New Play Network in the U.S., separate professional artist teams will interpret and produce the same text in different ways – site-specific, conventional theatre spaces, even outdoors! It’s very exciting. Have also finished the first draft of Ambrose Small for the Grand London. Part site-specific haunting, part raucous Vaudeville – this will be a show like no other I’ve ever attempted. Fun! 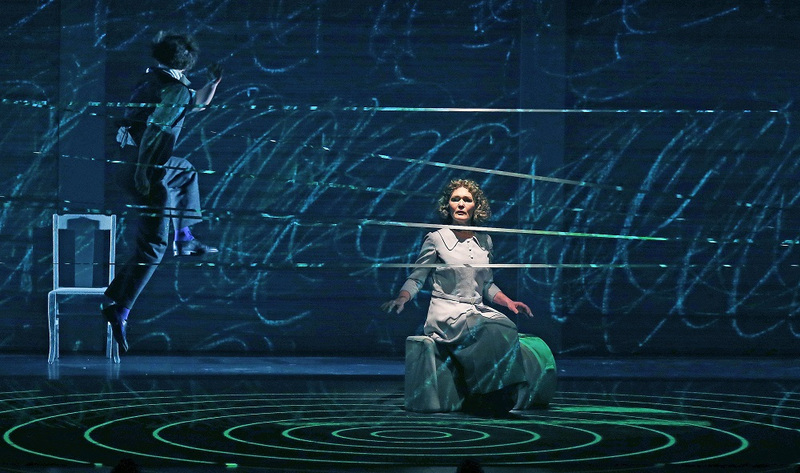 Thrilled to reveal that Silence: Mabel and Alexander Graham Bell will be on the mainstage at the National Arts Centre (NAC) in Ottawa October 17-28, 2018. The Grand’s beautiful production will be travelling to Ottawa. More Details HERE. Next up is The Romeo Initiative at the SkirtsAfire Festival in Edmonton in March. I will attend closing weekend, March 10-11 and hope to see lots of great Edmontonians there! There is a preview article talking about the show that can be found at this link. I also got a chance to talk to Liz Nicholls last fall about this season, right before the Waxworks production at Concordia, and the resulting article can be found here. Taking a moment to catch a breath. It’s been a whirlwind few months, all full of wonderful experiences and meeting incredible artists. Most recently I was in London Ontario for over a month at The Grand Theatre. Trudging through the snow for one and half hours a day gave me lots of time to think while I went to and from rehearsals. 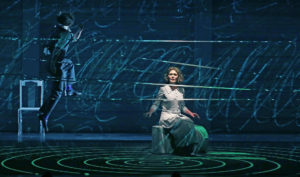 The production of Silence: Mabel and Alexander Graham Bell directed by Peter Hinton was beautiful and heart-felt. Being in London allowed me to get to know the cast (Tara Rosling, Graham Cuthbertson, Suzanne Bennett, Catherine Joell MacKinnon, Madelyn Narod, Michael Spencer-Davis) , design team (Beth Kates, Michael Gianfrancesco, Richard Feren), stage management team (Michael Hart, Sandi Becker, Kelly Boudreau) and directing/design intern Howard Davis. A really special experience I’ll never forget. Information on the production can be found by clicking here. 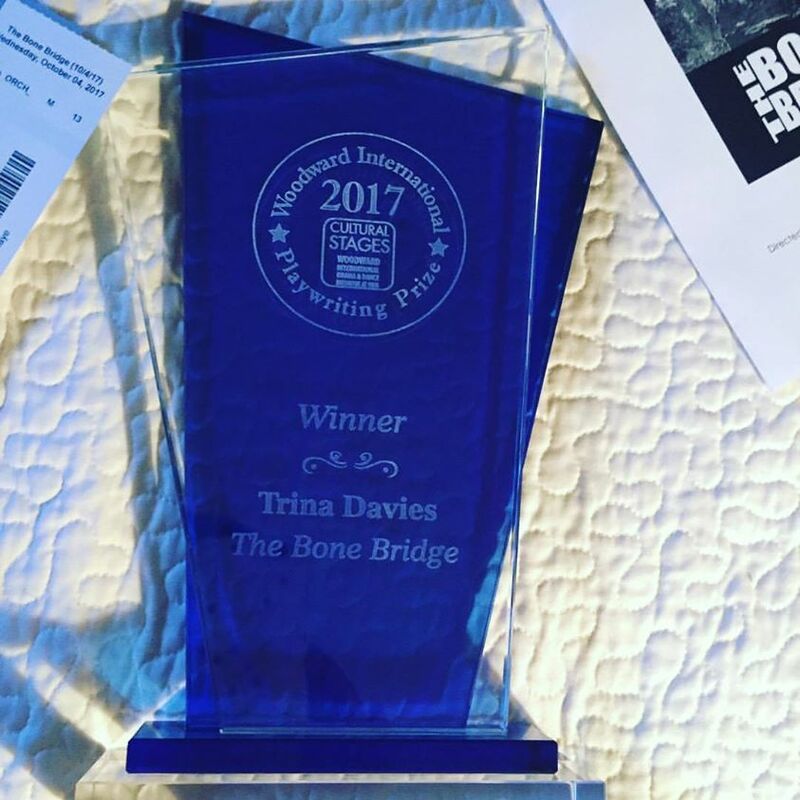 In October 2017 I travelled to New Hampshire to accept the 2017 Woodward International Playwriting Award for The Bone Bridge. The University of New Hampshire did a wonderful production of the play, directed by David Richman. I got to meet many of the faculty and students. They hosted fascinating talk-backs after each night of the performance, featuring different experts every night that discussed particular aspects of the show. 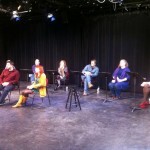 I participated in a few of them, and loved the discussion that the play provoked. The Bone Bridge still needs to find its home for its professional world premiere, but this production and experience has confirmed for me how well this play works on its feet. I also travelled to take in the workshop production of Waxworks at Concordia College, and Shatter at the Walterdale Theatre in Edmonton. I did talk-backs at each, as well as a separate reading of Silence at Concordia supported by PlayConnect at PGC. Fantastic to get back to Edmonton and share my work with friends and colleagues there. Looking forward to great productions coming this Spring. Among the many I have tickets for, especially looking forward to Betroffenheit in March! It’s been such a busy 2017. 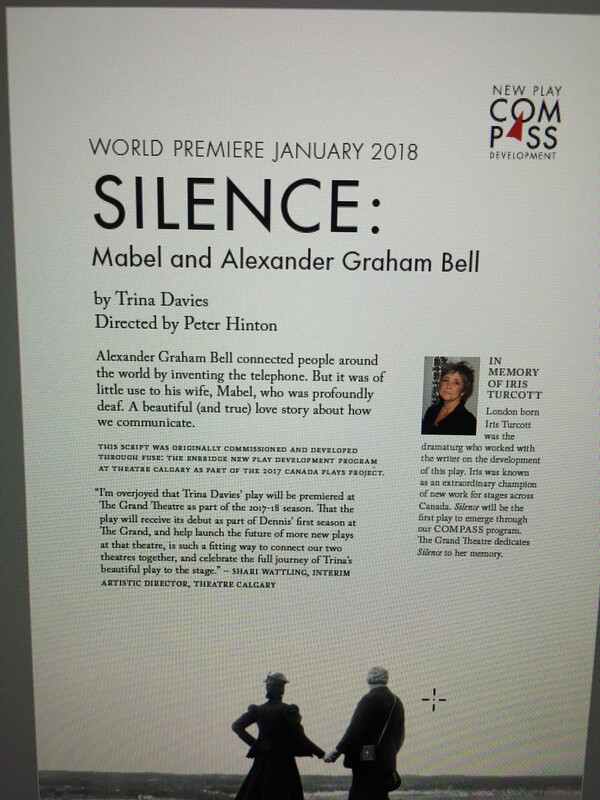 I was in Toronto in late August for a quick workshop of the latest draft of Silence: Mabel and Alexander Graham Bell, where Peter Hinton and I got to work with the cast and designers for the world premiere at The Grand Theatre in London coming up in January. It was an important meeting, and I’m very grateful that The Grand could make it happen. We’re on our way to January, and it’s very exciting! I’m now getting ready to head to New Hampshire for the first academic production of The Bone Bridge, and to accept the International Woodward Prize. It will be my first time in NH. I’ve been communicating with the Director, David Richman, on a regular basis, and it’s been a fantastic process so far. Working remotely we’ve managed to fine-tune some details in preparation for the October performances. Really looking forward to meeting everyone involved. Everything has been coming up Edmonton, and I’m so honoured that my work is being produced in my old hometown. 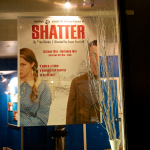 Shatter is being produced by the Walterdale Theatre in December, opening on the 100th anniversary of the Halifax Explosion! The Romeo Initiative will have its Edmonton premiere as part of The Skirts Afire Festival in March 2018. My friend, the wonderful director Glenda Stirling, will be directing a workshop production of Waxworks at Concordia College in November 2017. As part of the PlayConnect Program through the Playwrights Guild of Canada, I’ll also be doing a public reading before the November 4th 2017 performance of Waxworks. If you’re in Edmonton, please stop by and say hi! Shatter will also be at the Kanata Theatre, just outside Ottawa Ontario, in November. 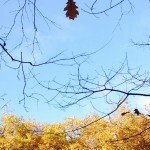 Even with all this lovely busy-ness, my mind is wandering forward. 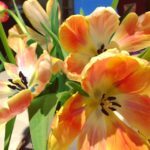 I’ve narrowed my 4-5 ideas from the spring into two I’m focusing on, but a new opportunity has just presented itself that just might overtake everything – because it’s so delicious and exciting. Details to come. 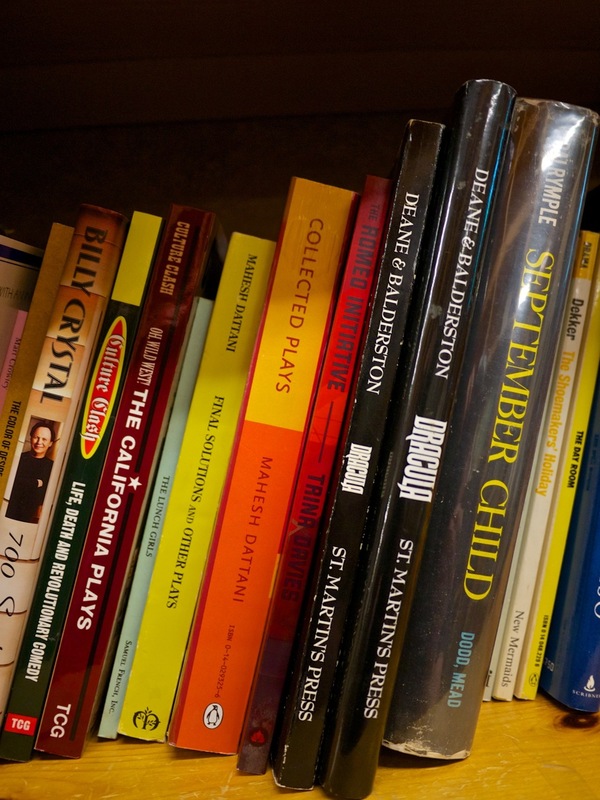 As the rainy West Coast winter slowly (too slowly) slides into Spring, my thoughts turn to the teeming ideas for new plays and the stacks of books that I’ve been collecting that have gathered dust. With all of the activity on existing projects the last year or two, I haven’t had the brain space to work on anything big and new. I was asked last summer about a potential commission, but just did not have anything in my head that I wanted to commit to. Now I have four-five ideas that are all clamouring…not actually loving this as I’m usually someone who concentrates and digs into one new thing at a time. Wish me luck. 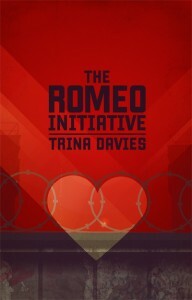 This May the Chilliwack Player’s Guild is producing The Romeo Initiative . A journalist sat in on an early reading of the production and had this to say. 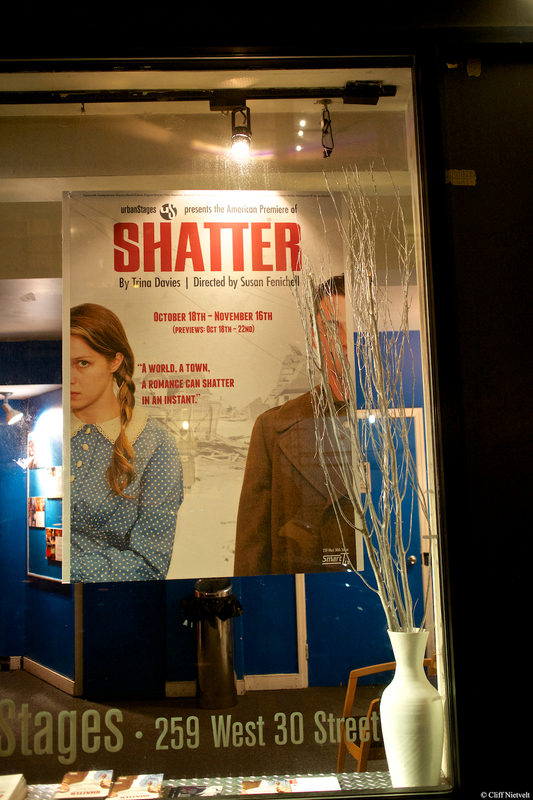 During Canada’s 150th year, and in the year of the Halifax Explosion’s 100th anniversary, Shatter has had two Canadian productions announced. One will take place in Kanata Ontario at Kanata Theatre in November, and another in my old hometown of Edmonton Alberta at the Walterdale Theatre in December. 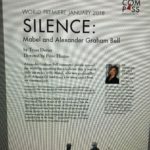 I’m also looking forward to an upcoming workshop of Silence: Mabel and Alexander Graham Bell later this summer in preparation for the January 2018 World Premiere at The Grand Theatre, as well as an academic production of The Bone Bridge associated with the Woodward Prize in New Hampshire. From over 270 international submissions, The Bone Bridge has won the prestigious 2017 Woodward International Playwriting Prize out of the U.S. Details on the process and the award can be found here. I’m very much looking forward to the academic production in October at the University of New Hampshire! 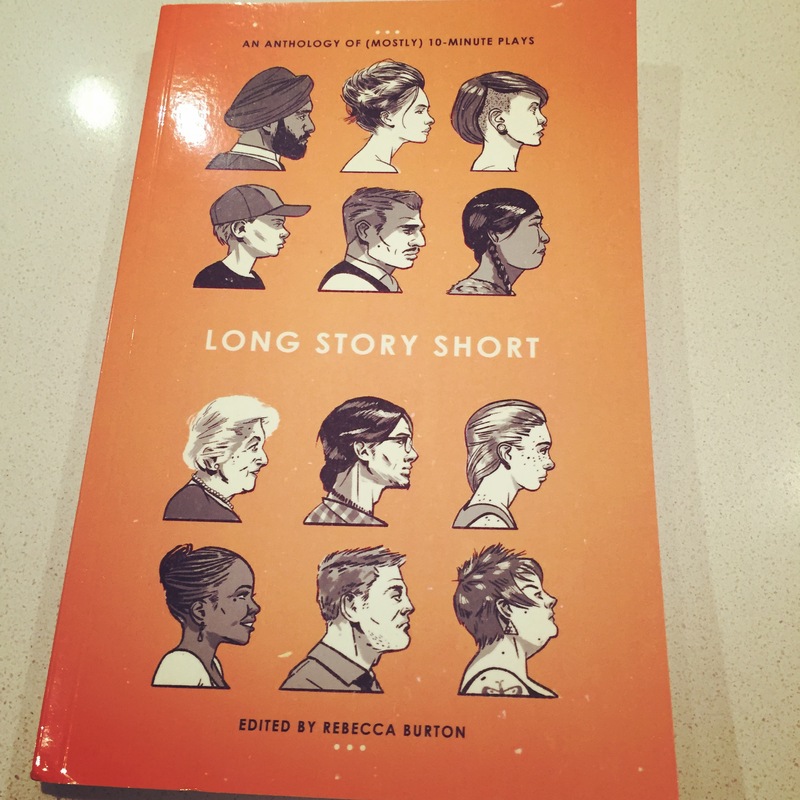 Playwrights Canada Press has just released an anthology of short plays entitled Long Story Short. My play The Auction is one of the 25 short plays included in the volume. 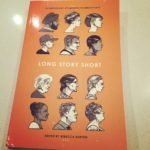 If you’re looking for short works, you can check it out here. I’ve seen some great productions this fall/winter. One that stands out was the production of Concord Floral by Jordan Tannahill as part of the PUSH festival in Vancouver. Really effective, and I loved seeing so many young actors on stage. Looking forward to catching Crawlspace by Karen Hines. 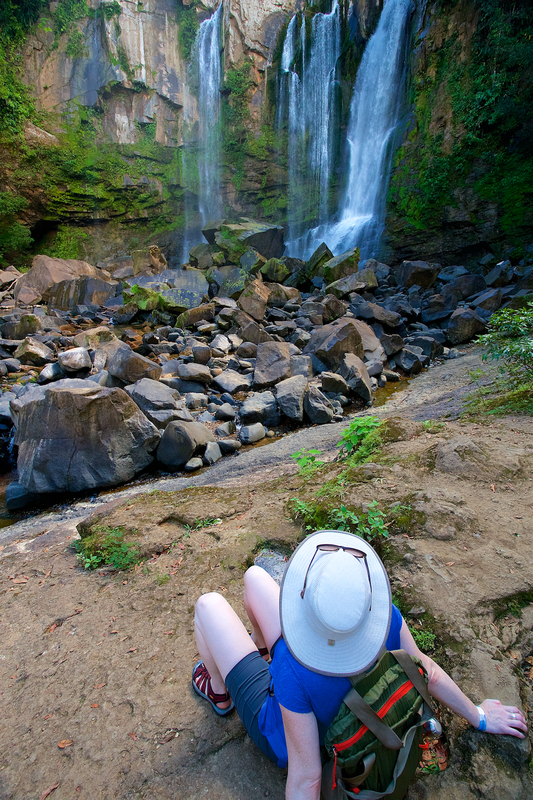 Months in the planning, I finally got to spend a bit of time away in Central America. It was a fantastic brain break, and involved a lot of hiking, wildlife-watching and the eating of rice and beans. I’m thrilled to announce that Silence: Mabel and Alexander Graham Bell will have its world premiere at The Grand Theatre London in January 2018, directed by Peter Hinton. Silence is part of the new Compass program announced by Dennis Garnhum that will see four new world premieres in the coming seasons. The production will be dedicated to Iris Turcott. Earlier this month I had a great experience with my play The Bone Bridge at Playwrights Foundation in San Francisco. PF is a prestigious American play development organization led by Amy Mueller that puts their heart and soul into the development of new work and new writers. I had the privilege of working with director Rob Melrose and meeting and working with actors Soren Oliver, Mia Tagano, Christine Jamlig, Valerie Weak, Scott Coopwood, Caitlyn Louchard and Tim Kniffin. Discussions were lively and constructive, and the readings at Stanford and Custom Made Theatre were well received. Shortly after returning from that experience, I got the news that The Bone Bridge has moved from the semi-finalist list to the list of finalists for the Woodward International Playwriting Prize at the University of New Hampshire! 270 submissions were received from across the world, so it is an honour to be on the list of finalists. Winner to be announced January 2017. I’ve seen a lot of great theatre this Fall. Fantastic to see such a variety of great new work in Vancouver and elsewhere. I especially enjoyed Anusree Roy’s Brothel #9 at Touchstone Theatre directed by Katrina Dunn. The Bone Bridge was a finalist for the Bay Area Playwrights Festival in 2016. While it didn’t make ‘the cut’ for the great festival, Playwrights Foundation in San Francisco has invited me down in December 2016 for a workshop and two readings. I’m very much looking forward to this opportunity, and for the chance to work with a new group of artists on the piece. Rob Melrose, former AD of The Cutting Ball Theater has been confirmed as the director. The readings will be held at Stanford and Custom Made Theatre on December 5th and 6th consecutively. Details on the reading and RSVPs can be found here. The Bone Bridge is also a semi-finalist for the Woodward International Playwriting Prize out of the University of New Hampshire. Winner to be announced in January 2017. 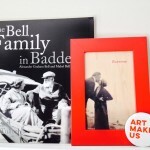 Silence: Mabel and Alexander Graham Bell had a fantastic workshop and public reading at Theatre Calgary in June. Peter Hinton (Director), Iris Turcott (Dramaturg) and I worked very hard over a number of days to realize the play for its first public audience and to bring the play into its next draft. It was a very successful event and resulted in a great new draft of the play. It’s been a very solemn and sad couple of weeks after the sudden passing of dramaturg Iris Turcott. The flags at the National Arts Centre flew at half-mast on the day of her passing, as they should. Iris was instrumental in the development of Canadian theatre, and particularly in the development of many prominent Canadian playwrights and their work. I was fortunate enough that Iris read Waxworks from a pile of unsolicited scripts at CanStage in 2006 and immediately called me and said “Who are you? 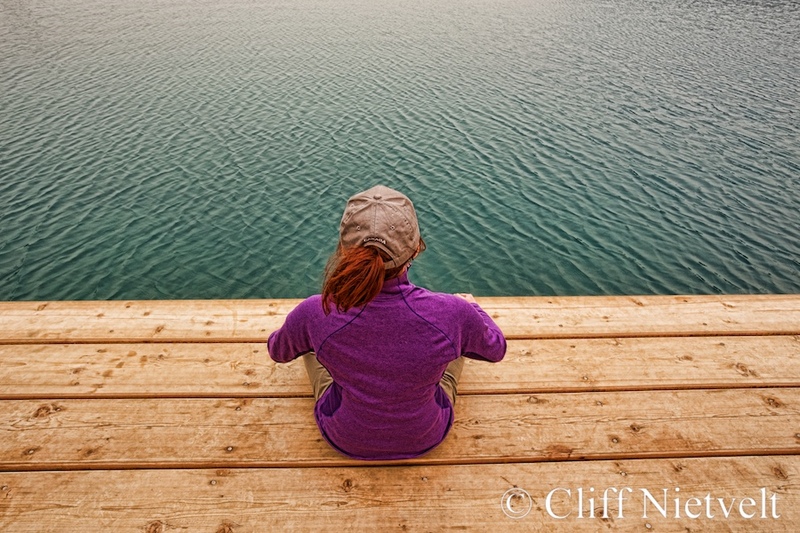 Where did you come from?” From that point on she was my champion; and the person that I had some of the most difficult, challenging and rewarding conversations with about my work. 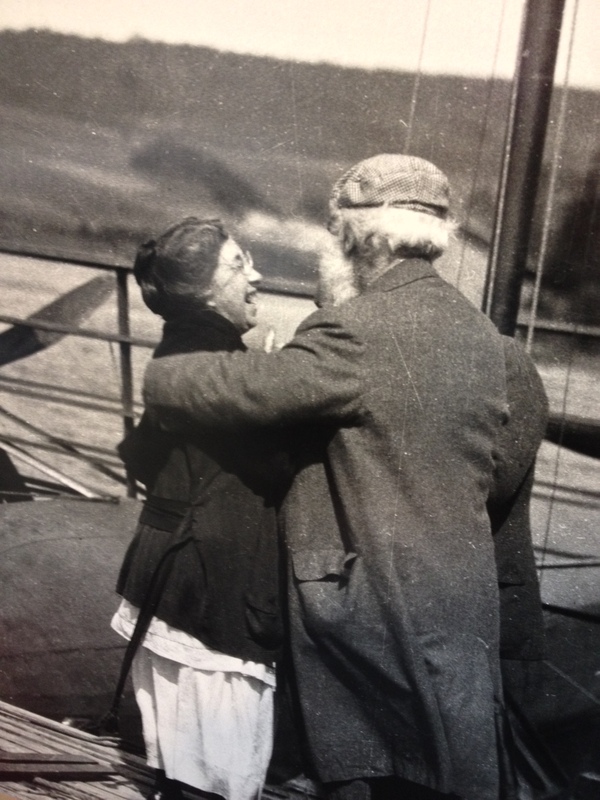 We were right in the middle of working on Silence: Mabel and Alexander Graham Bell when she passed. I last saw Iris in Calgary AB in June, when we pushed the play into its next draft. I was fortunate to know Iris for ten years, and to receive notes from her when things were tough that assured me that the work was brilliant, that I was as well, and that everything would work out. I was also extremely fortunate to have had that time with her in Calgary, where we sat at a picnic table beside the dusty downtown street and argued about the play – but most importantly talked about life. She pointed out that I was a much more grounded, calm person than I had been when she first met me…as Glenda Stirling has said “she was ‘witchy’ that way” – amazing intuition. I will feel Iris’ loss every time I want to reach for my keyboard or my phone to throw out an idea and hear her response – or to just connect and hear her voice. Spent a couple of weeks this spring in Massachusetts, most of it at Williams College in the Berkshires where Waxworks was receiving an ambitious workshop production. Had a fantastic time working on the show, developing it for its world premiere, and getting to meet and know many of the students and faculty. I sat in on two classes as a guest speaker, and was impressed with the level of insight and discussion. Chatted one-on-one with a few students that have exciting dreams and projects of their own. 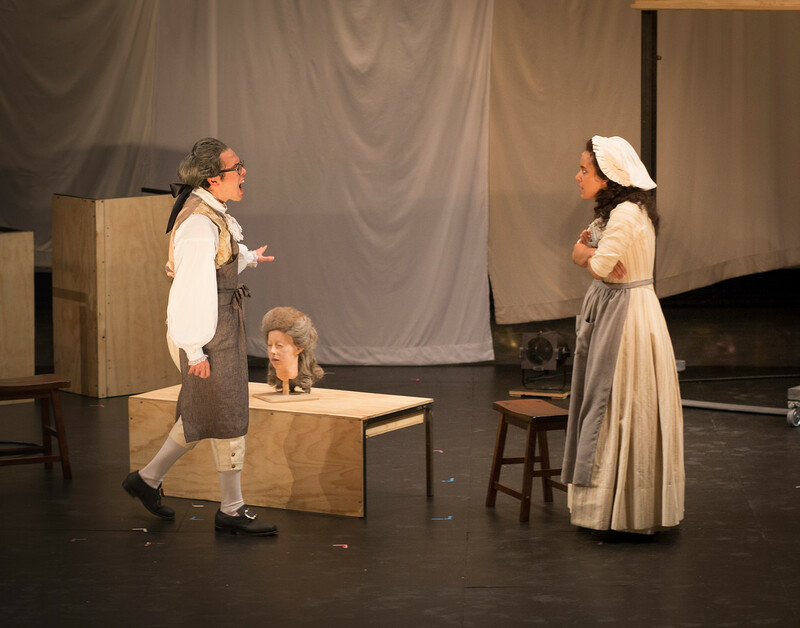 The production benefited from the caring attention of some great student actors and some amazing professionals, including Natalie Robin (lighting designer), Brad Berridge (sound design), Deborah A. Brothers (costume design), David Gurcay-Morris (scenic design) and Beckie Kravetz (sculptor) – all led by Kristen Van Ginhoven of WAM Theatre. There are some beautiful production photos taken by David Dashiell that can be found by clicking here. 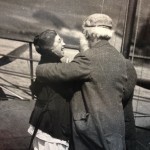 After the production spent some time in Boston – specifically visiting sites relevant to the new play Silence: Mabel and Alexander Graham Bell. 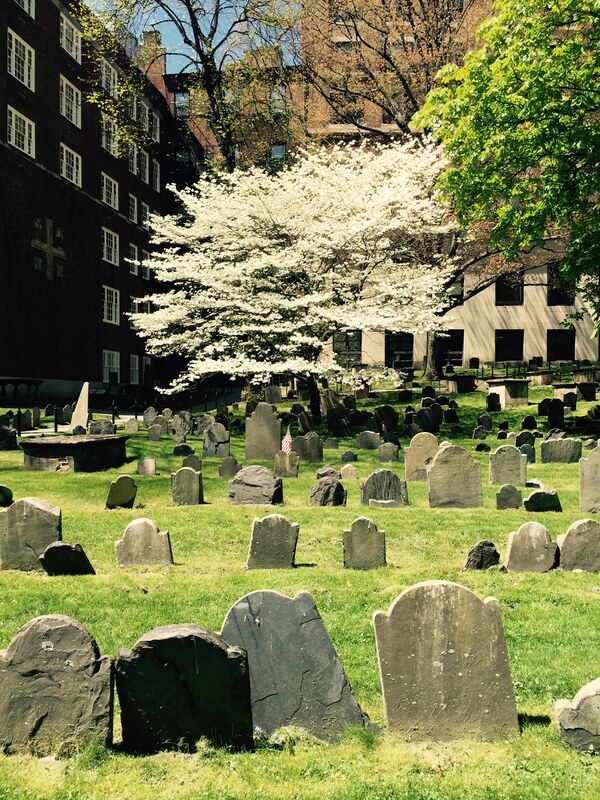 Much of the play takes place in Boston, and I went and walked the same streets that Mabel and Alec would have walked 150 years earlier. 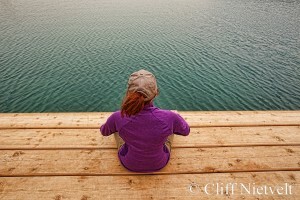 Lots of inspiration that I can spin into the upcoming Theatre Calgary workshop and reading of Silence. Can hardly wait to get to Calgary, and to continue the work that I’ve been doing with Shari Wattling, Peter Hinton and Iris Turcott — and to add some amazing new artists into the mix. There will be a public reading in Calgary on Thursday June 23rd 2016, RSVPs strongly recommended (more details to come). 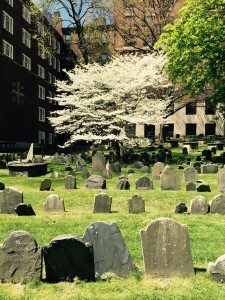 Revolutionary graveyard in Boston that Mabel Hubbard often looked out on during her sessions with tutor Alexander Graham Bell. The Encounters Festival at the Citadel Theatre in Edmonton is a showcase of 24 separate 5-minute “encounters” between one actor and one spectator. Each encounter – a tiny play, a confession, a funny revelation – is an exclusive engagement between two people providing an equally intimate theatrical experience for both. There is a stunning list of playwrights involved, all participants in past new play development activities at the Citadel. My short play The Trophy Hunt will be featured in the second week of the festival. If you’re in or around Edmonton, don’t miss it! The Bone Bridge was a finalist for the Bay Area Playwrights Festival in San Francisco. Was on pins and needles for about week waiting to find out if I’d be asked to attend this amazing three-week opportunity in California working with the Playwrights Foundation. Alas, it was not to be, but there are six great plays that are being featured, and I’m sure it will be a great festival! So far 2016 has been packed with activity and wonderful. I’ve seen a lot of inspiring theatre, most notably Robert LePage‘s 887, which still has me thinking about its stunning visuals and affecting narrative. Today I am skyping into the first day of rehearsals for the Williams College workshop production of Waxworks directed by Kristen Van Ginhoven of WAM Theatre. Excited to be involved in this ambitious production, and am counting the days until I get to be on-site for a couple of weeks in Massachusetts for tech and performances in late April and early May. I’ll also stopping for a few days to do a little Alexander Graham Bell research in Boston. Most of my time lately has been taken up working away on Silence: Mabel and Alexander Graham Bell for Theatre Calgary. I’ve been working with director Peter Hinton, Iris Turcott and Shari Wattling to ready the play for its first workshop and public reading in Calgary in June. I also need to give a shout out to the fantastic actors, and my friends, in Edmonton who indulged me with a kitchen-table read of the last draft, which provided me with more information in a few hours than I have had in months of staring at the page. 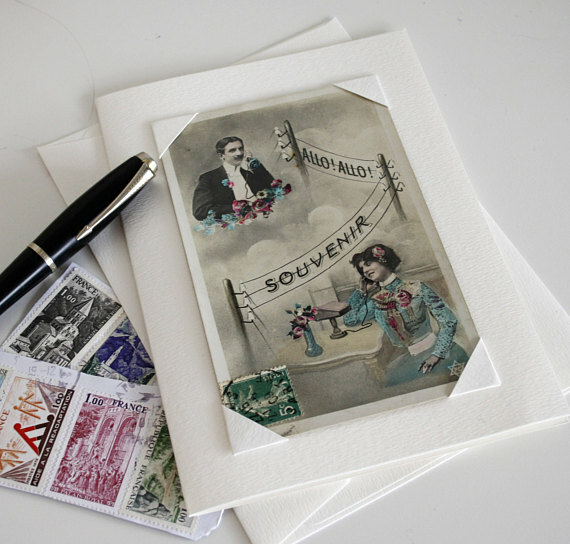 It is a really fantastic process and I can hardly wait to share the results. I also finished a draft of my short play The Trophy Hunt for the Encounters Festival at the Citadel Theatre in Edmonton. It’s a great festival that will feature a number of one-on-one experiences for the audience in June/July 2016. The Romeo Initiative had two productions so far this year. One was the first Canadian amateur production, at the University of Fraser Valley. For the first time ever the students were allowed to choose a show to produce and perform. Flattered that their choice was Romeo. There was also a fantastic production at the Sudbury Theatre Centre, which just closed. There are some great production photos on their Facebook page. 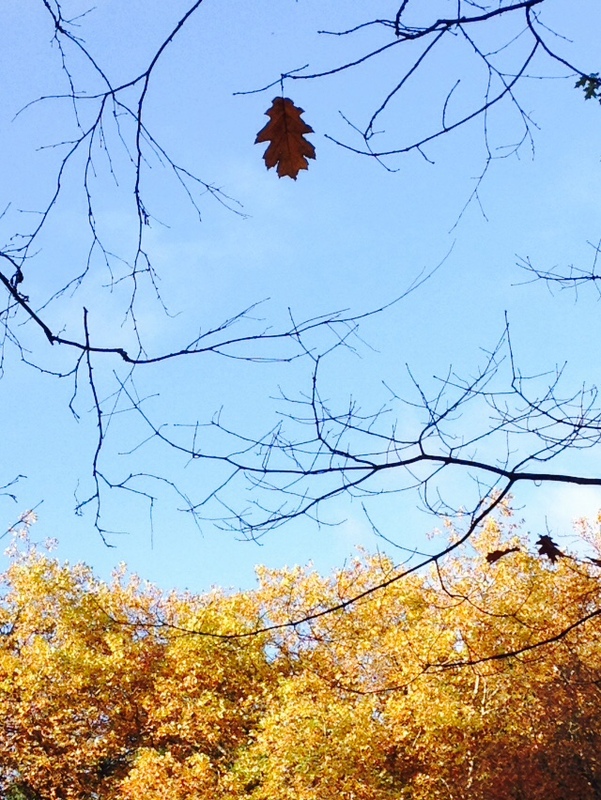 It feels as if the world is heading into hibernation, storing up its energy and catching up on some naps before it will launch into its glorious colour again in the spring. I feel the same. There is lots of thinking and tinkering and readying for what will come in 2016. I have been doing a few minor rewrites on Waxworks in preparation for the workshop production at Williams College in May 2016. I will be writer-in-residence at the college for a brief period leading up to the production. I am really looking forward to spending time in Massachusetts, and to working with director Kristen Van Ginhoven. 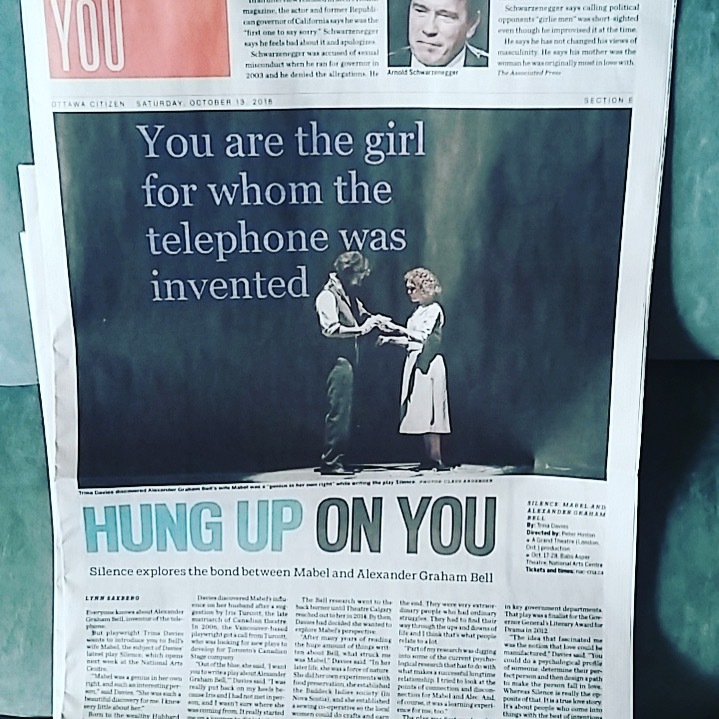 Silence: Mabel and Alexander Graham Bell is coming along, and I’m started to get excited about working with some fantastic artists on it at Theatre Calgary in June 2016. Sudbury Theatre Centre is producing The Romeo Initiative in early March 2016. Looks like it will be a great production, wish I could see it. Also just found out that The Romeo Initiative will have an amateur production at the University of the Fraser Valley in January 2016. After hiking to the top of a mountain. In addition, this week saw the opening of A Love Story at Prologue Theatre in Chicago. Looks like a great event! 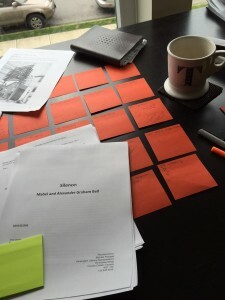 Have been working on the draft of Silence: Mabel and Alexander Graham Bell for Theatre Calgary, and I’m happy with where it’s going. Look for a public reading in Calgary in late Spring 2016. The season announcements are starting to happen. So far, I can happily announce that The Romeo Initiative will have an August production at the Ship’s Company Theatre in Nova Scotia. The Romeo Initiative will also have a production in March 2016 at the Sudbury Theatre Centre as part of their ‘Decades of Desire and Deception’ season. An early draft of The Bone Bridge was a finalist for the 2015 Mario Fratti-Fred Newman International Political Playwriting Competition through Castillo Theatre in NYC. The Playwrights Guild of Canada asked me some thoughtful questions as part of the ‘featured playwright’ series. The resulting profile can be found here. I will be presenting at the Playwrights Guild of Canada AGM in Edmonton on May 30, 2015. The presentation is titled Alt.Playwright and will be the culmination of a research project that I have been undertaking for Workshop West Playwrights’ Theatre and funded by the Canada Council for the Arts. The project looks at best practices of text-based new work companies in Canada, the United States and Ireland. Canada 300 continues to tour across Canada. If you’re in the east – check out the dates near you. My short play Downsizing was commissioned by the Canada 300 project, an ambitious Canadian theatre project that will tour to 21 cities within Canada. You can nominate community-builders in your community to attend the event free of charge. I will be headed out to Prince Edward Island at the end of the month to attend rehearsals, and will be attending the Vancouver performances in person. Check out the Canada 300 website (featuring a video in which I stand on a hillside and seem all official-like) for more information here. The Bone Bridge had a two-day workshop and reading in Calgary in mid December. It was a fantastic event hosted by Downstage Theatre and the Consortium for Peace Studies at the U of C. It generated a great deal of discussion amongst the artists and the audience. I stayed after the performance for a couple of hours to speak individually to audience members who were interested in discussing the play with me. I also had a great chat with theatre blogger Rodrigo Flores who reported on the event on his site, the link to his post can be found here. The event has inspired me towards some great rewrites, so I have a whole new draft! Simon Mallett, (Director of the reading and AD of Downstage Theatre) with myself at The Bone Bridge talkback, along with the great actors. The Bone Bridge has been awarded the Canadian Uprising National Playwriting Award for plays that dynamically engage with social issues or promote peace, social justice and human rights. The award is provided by the fantastic Downstage Theatre in partnership with the Consortium for Peace Studies at the University of Calgary. There will be a two-day workshop and a free public reading in Calgary on Friday December 12th. Contact Downstage to reserve seats. More information on the award can be found here. 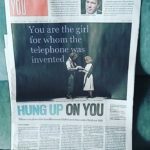 Also breaking news: Silence: Mabel and Alexander Graham Bell, the new play in progress, has been officially commissioned by Theatre Calgary. Everything is coming up Calgary, and I feel honoured to work with that great community again. “The business of the play is the rage that the townspeople direct at their German-born neighbors, and, more specifically, at Elsie. At its most terrifying, the rage drives people – Canadians! 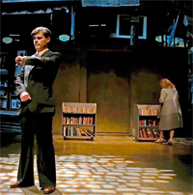 – to a wholesale destruction of the homes owned by German-born townspeople…The aftermath of the Halifax explosion shows that even the gentlest and most well-mannered of people are capable of irrational destructiveness if they are subjected to sufficient pain.” DC Theatre Scene, great full review found by clicking here. Happy to be able to announce that Shatter will be having its professional U.S. and Off Broadway premiere at Urban Stages Theater in New York City. The show is in previews October 17-22, and runs from October 23rd-November 16, 2014. Really enjoyed meeting the Urban Stages team at the reading in February, and am thrilled to be able to work with them again on this production. Susan Fenichell (who directed Daniel MacIvor’s Marion Bridge in NYC in 2005) and I have had great conversations about this production as they get ready to launch into rehearsals. Looking forward to joining the cast and crew in person for previews and opening night in October. See the announcement of Shatter here. 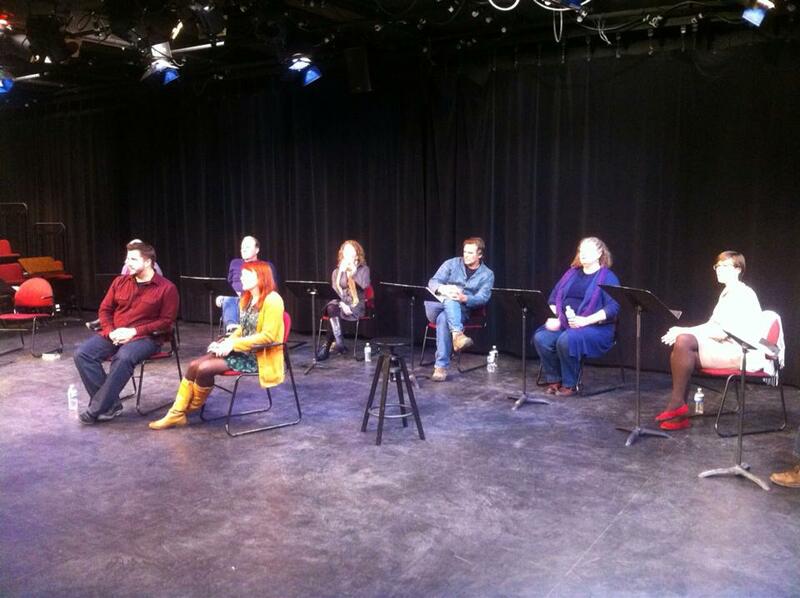 Meanwhile, a bit farther North, but not as North as Canada, a fantastic theatre company in Massachusetts in performing a staged reading of Waxworks. WAM Theatre in Berkshire County was founded on a concept of ‘double philanthropy’ – it aims to both employ female artists and to support the fight against global poverty. The reading has limited seating and is taking place on Sunday September 21st. The theatre interviewed me for their blog and more details on the reading can be found here. I wish them the best of luck and wish I could be there to experience it in person. There are a couple of other developments brewing. I will update as things are finalized. I’ve been knuckling down and spending time on the new plays. I’ve been spending a lot of time digging into piles of research materials, and doing a lot of thinking and taking notes in my various notebooks. I’m particularly fascinated by the work of John Paul Lederach who works in the world of conflict and peace-building. It has confirmed some things that I was doing instinctually, including the inclusion of sound/song and the cyclic or spiralling nature of reconciliation and recovery (which is reflected in the structure of the play). Also – guess what – a new title. Third one and a new record. A Peaceful Life is now called The Bone Bridge. Also took some time this summer to fly across the country so that I could visit Baddeck, Nova Scotia. Mabel and Alexander Graham Bell spent many happy years there, and I knew that I needed to visit the actual location, to breathe the same air, to get a ‘feel’ for the place. 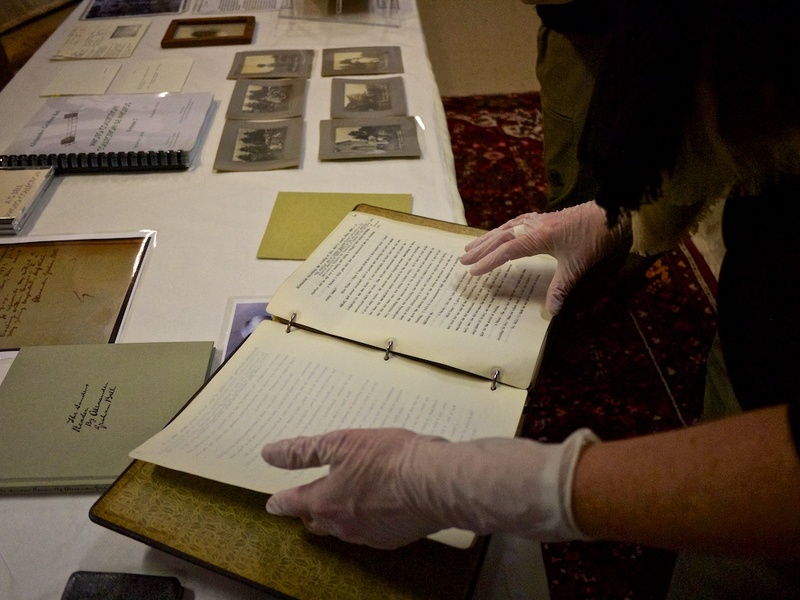 The Alexander Graham Bell National Historic Site staff were amazing and generous with their time. 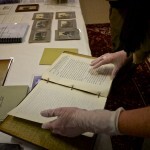 I got a private tour, including being able to handle some of Bell’s clothing, personal items and notebooks. Updates on Fall 2014 readings and productions to come, but as a teaser – watch for the public reading of Waxworks at WAM Theater in Massachusetts in September. Completed a week-long workshop of the new play A Peaceful Life at the Citadel Theatre in Edmonton in January. The week ended with a staged reading of the play. Despite the “cast flu” that was going around, all went well, resulting in a brand new draft of the play. West of the 3rd Meridian has just been translated into German. There may be a publication or production in the near future in that country. Heading off this week to NYC for a public reading of Shatter at Urban Stages Theater. It will be held on Monday February 10th at 6:00 p.m. Looking forward to the experience of rehearsal and presentation for this 9/11 inspired play. For those in NYC, information can be found here. Starting to pack up for almost a month at the Stratford Festival in Ontario. I’ve been invited to participate in their playwrights’ retreat, and have been given the incredible gift of all of that time to work on whatever I want or need to. 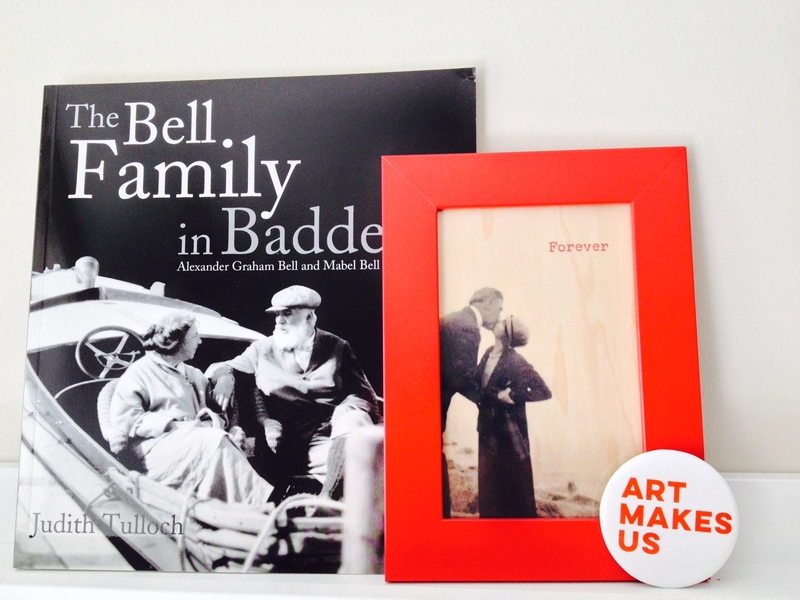 Will spend a bit of time tinkering with A Peaceful Life, and a whole lot of time wading through the pile of obscure books I’ve been collecting (but haven’t had the time to read) about AG Bell. Looking forward to being in Stratford, seeing the shows, and hanging out with the other artists. Also been involved in the preparation for the Vancouver production of The Romeo Initiative, presented by Touchstone Theatre this November. It’s looking exciting. Playing at the Cultch November 15-24th, 2013. Just started a Twitter account @TrinaLDavies if anyone is interested in following. Finally have a new title: A Peaceful Life. This new play will be read to the public for the first time on Friday June 28th at 7:30 p.m. in the Shoctor Rehearsal Hall, Citadel Theatre, Edmonton Alberta. Admission is Free. Looking forward to experiencing how the current draft works with an audience. Come out if you can. 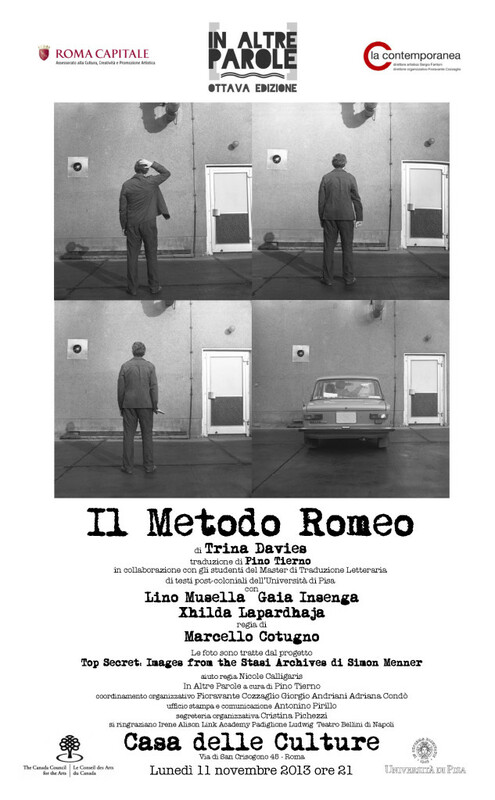 Also just got news that The Romeo Initiative is being translated into Italian. A scene from West of the 3rd Meridian, The Picnic, has been published in the book Scenes from a Diverse World, published by the International Centre for Women Playwrights, and is available from Amazon at this link. Just got home from the Citadel Playwrights’ Forum (2012-2014) in Edmonton Alberta. It was a mind-bending eight days full of great discussion, which included: the definition and nature of villainy, altruism versus selfishness, and, of course, fantastic discourse about the new plays in development. Many thanks to Meg Braem, Kenneth T. Williams, Mieko Ouchi, Arun Lakra, Michele Vance Hehir and our fearless facilitator, Colleen Murphy. Thanks as well to Brian Dooley, who asked me to join this great group in the first place. Had a chance to take the new play around the block and am working on some refinements and detail work. One of the things in flux at the moment includes the title of this new play. The “play previously known as After the Fact” will reveal itself shyly to the world in a public reading during the last weekend of June (sometime around June 29-30) in Edmonton. More details to come. 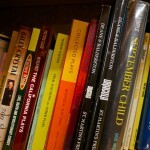 I was recently interviewed by the Playwrights Guild of Canada. They asked a lot of questions, some of them challenging to answer. The article can be found here . Working on the new play, After the Fact for the Citadel Playwrights Forum. Looking forward to getting together with other writers in Edmonton at the end of April/beginning of May. There will be a public reading of After the Fact in late June 2013, I will post details as they are available. If you’re in Edmonton, hope you can come by! 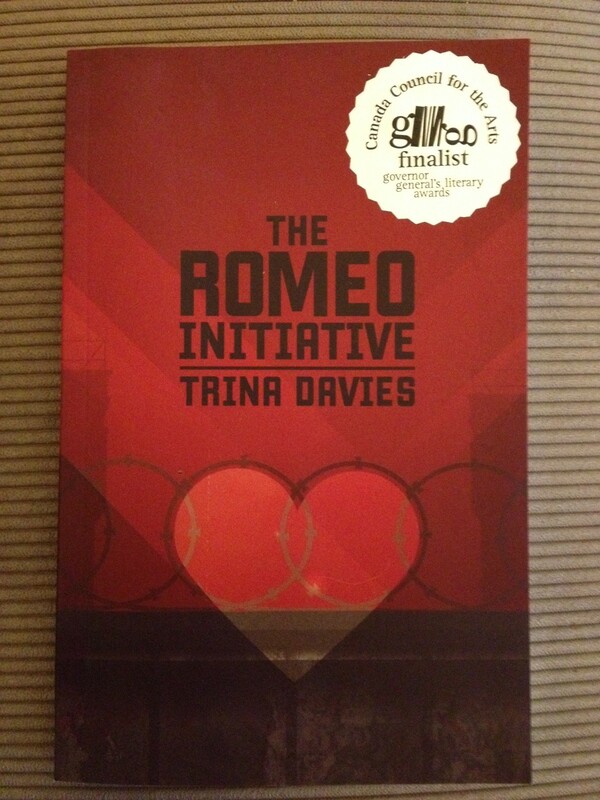 Thrilled that The Romeo Initiative has received a nomination for the Governor General’s Award for Drama. In great company, with other nominees including Karen Hines, Catherine Banks and Anusree Roy. Just returned from the Citadel Theatre Playwrights Forum in Edmonton Alberta. Ten days of thoughtful discussions facilitated by Colleen Murphy. 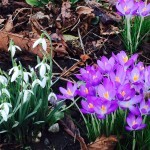 We convene again in the spring to share our work. 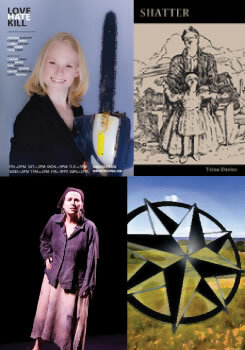 Upcoming: public reading of brand new work in June 2013, details to follow. While visiting Portland Oregon recently, I wandered into the impressive Powell’s Books. It’s a great bookstore, and well worth a visit if you’re in the city. I was perusing the drama section when I came across Romeo on the shelf. It’s humbling to know that a piece of work can go out into the wide world and have adventures and reach people and places you can’t even imagine them reaching. 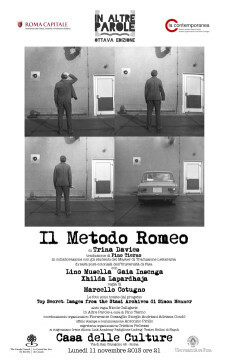 Romeo can also be ordered in the U.S. through Powell’s online. In other news, as part of the book launch I was asked to do the Proust Survey for Open book in Toronto, which was kind of fun, the results can be found here. Also, Playwrights Guild did a promotional piece, which can be found here. Book Launch for The Romeo Initiative was held May 7 at Revival Bar on College Street, Toronto Ontario. also recently shortlisted for the HotInk Festival of International Plays in NYC. It has been a while in the making, but it is finally realized. Special thanks go out to Paul Bellows (yellowpencil.com), Jeff Sylvester (cut and paste design), Gunnar Blodgett and Clinton Carew (heightsresidential.com) who were very generous with their time and expertise in making this happen. I will be updating this site regularly. This website was made possible through a donation from the excellent folks at Heights Residential Window Cleaning. If you need your windows cleaned in the Edmonton area, they are the ones to call. Super friendly, and very supportive of the arts!